Twelve year old Rory Kliewer from Minneapolis was attacked by an otter while swimming in Wisconsin’s Bone Lake about noon Saturday, August 9th. Rory and her twelve year old girl friends, Marley Hinschberger and Madison Curtis, had been swimming on local resident Bob Murphy’s Rave tube close to Fox Creek in the southeast end of Bone Lake. All three girls had swum back to the dock from the Rave. 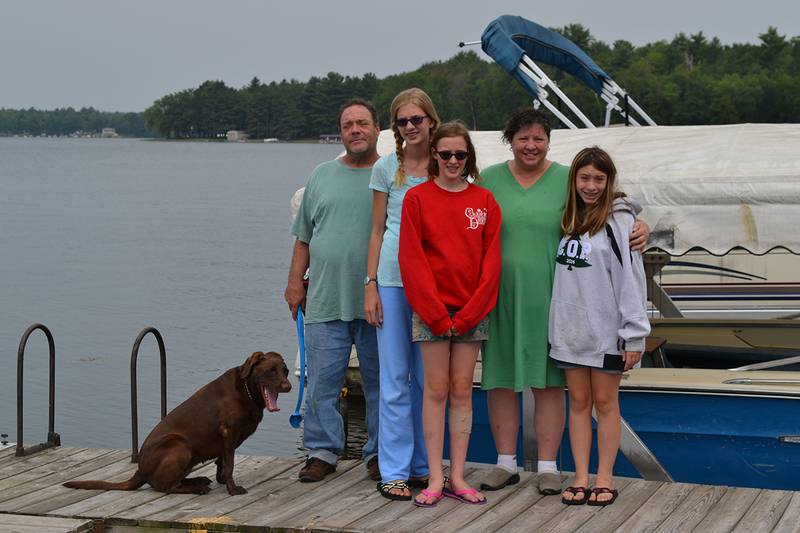 Marley and Madison climbed up a ladder fastened to the dock and were standing on the dock waiting for Rory. Rory was climbing up the ladder and was partly out of the water when the otter attacked her from behind. The otter had climbed onto her back and was biting and clawing her head. Rory said “I thought a Northern or a turtle was after me. When I hit it with my arm I could see that it was an otter.” “It was hissing, scratching and biting me. It smelled terrible. I was afraid it was going to pull me under water”. Thankfully Rory, not being a confident swimmer, was wearing a life jacket. The life jacket probably prevented additional injuries. At that point one of the three girls screamed, “It’s an otter!” But none of the three can remember which one it was. Madison jumped up on the bench that was on the dock and Marley ran down the dock towards shore. After reaching shore Rory ran into a rescue team of sorts. Sue Hinschberger, Marley’s mom had been sitting on shore watching the girls swimming when the attack occurred. Sue ran towards Rory and the otter, which was now on shore and at least ten feet from the lake. Sue stood her ground and began screaming and yelling at the otter. The otter pulled up short hissing and snarling at Pat. Sue’s husband Pat joined the fracas along with Nellie their dog. Pat had heard the screaming from the cabin and after realizing the seriousness of the screaming came on the run. The now outnumbered otter finally retreated to the water and swam away. Sue, an RN and trauma nurse, examined the blood covered Rory looking for any major wounds and after finding none they transported her to the Amery Hospital. The ER staff at the hospital treated Rory for potential infections at the wound sites and started her on a series of injections for rabies, just to be safe. She suffered from cuts, scratches, bites and bruising over large parts of her body. Rory was a celebrity of sorts in the hospital because of the otter attack. The ER doctor said that in 35 years of being a doctor and of all his years in this area, this was the first time he had treated a patient for injuries from an otter attack. She was released from the hospital and returned to the Hinschberger residence on Bone Lake the same day. I interviewed Rory, Marley, Madison and the Hinschberger’s to get this story the next day about 24 hours after the attack. The excitement of the event had not diminished and they all had a story to tell for the ages. According to the group, during the entire event the otter was focused on attacking Rory. This was Rory’s first visit to Bone Lake. She said, “I’m going to stick to a swimming pool for awhile and I don’t want to see any otters again!” Rory plays the cello but will have to wait until one of the bites on her fingers heals. The girls attend Ramsey Middle school in Minneapolis, Minnesota. Because it happened so fast they couldn’t do anything about it. Pat Hinchenberger said their dog weighs 75 pounds and guessed that this otter weighed about 40 pounds. He also remarked that the attack seemed like it took a long time but it probably only lasted a minute or so. 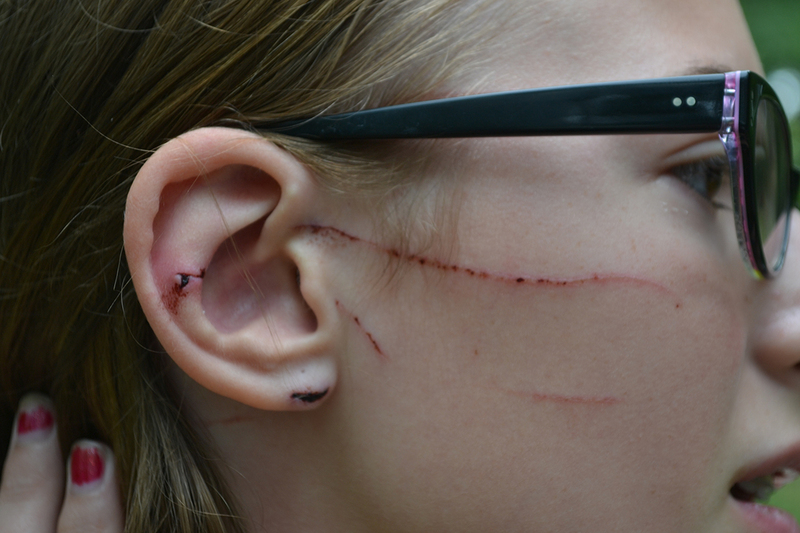 Residents living near the Hinschberger’s had on occasion seen otters in the area and around their docks Rory and her friends did not see any otters in the area before her attack. While attacks by River Otters on humans are rare they have occurred. 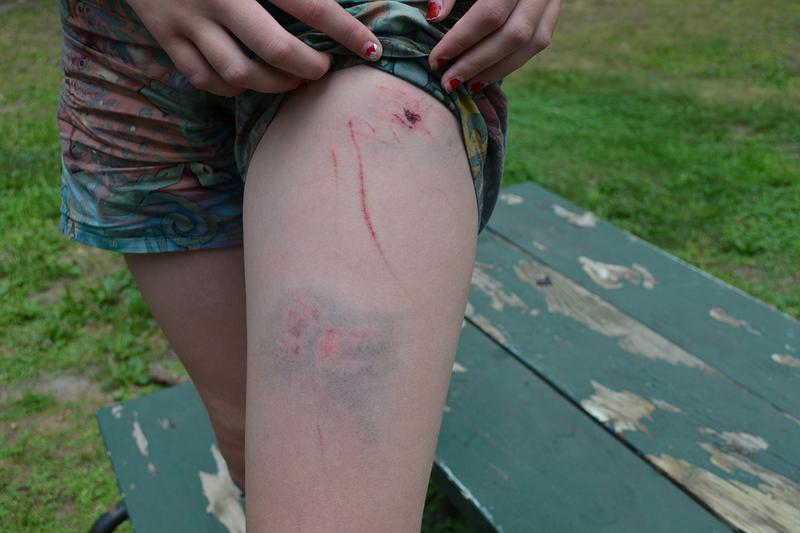 I know of another attack on a hiker on Isle Royal. The hiker reached down to pet a River Otter that was lying on a hiking trail. He lost a couple of fingers and had severe wounds on his arm. They are wild animals and should be given lots of room even if they look friendly and cute. This was Rory’s first visit to Bone Lake and, get this: The morning before the attack, they had breakfast at the Thirsty Otter restaurant in Balsam Lake, Wisconsin. Thank you for posting the article so soon! I want everyone to know that I just got a follow up rabies vaccine and all of my injuries are healing well! Next MNSJ RADIO PODCAST: The World Record Jordan Buck! I was fishing with two friends close to the dock when the attack occured witnessing the event. The encounter was much more horrendous than the article portrays. I am so glad to see the story is out there and that Rory is doing fine. She is a brave strong girl and I have thought of her often. This seems like a nightmare come true. Wild animals attacking children swimming. I can’t imagine how terrifying that must have been them and their family. No one would ever expect something like this to happen. Maybe it is time to look at reducing the otter population in Bone Lake.